Thank you to the following participants for helping with the Adopt-A-Highway project last Wednesday! It was a beautiful evening and took less than 1.5 hours to complete. We talked as a group about the importance of giving back and keeping our earth clean. Best item found: Handheld Garmin GPS unit found by Tyler Soltau! 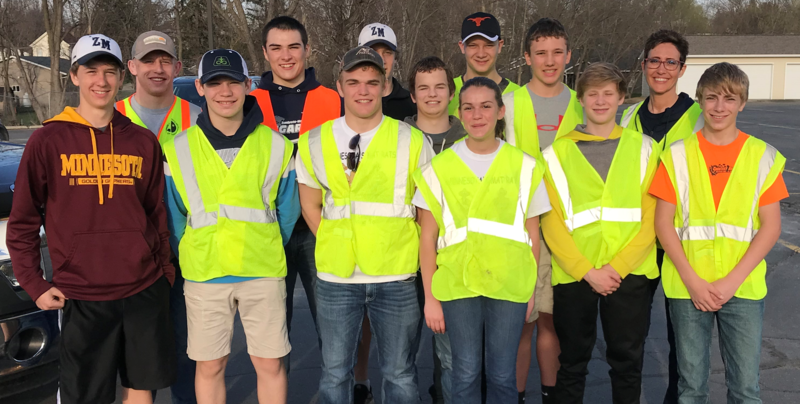 Volunteers were Evan Groby, Jake Bennett, Gabe Tupper, Tyler Merhkens, Tyler Soltau, Ethan Kovars, John Poulin, Anna Soltau, Trey Lexvold, Nathan Haltom, Brennan Sheda, Anne Haltom, Ashton Macht, and Link Steffen. Freestyle/Greco practice tomorrow. 5:30 for K-6th, 6:30 for 7-12. Freestyle/Greco Junior and Kids State Tournament this weekend in Rochester. Juniors can still register. World Team Trials and Northern Plains Regional next weekend in Rochester. Great opportunity to watch some potential future Olympians! 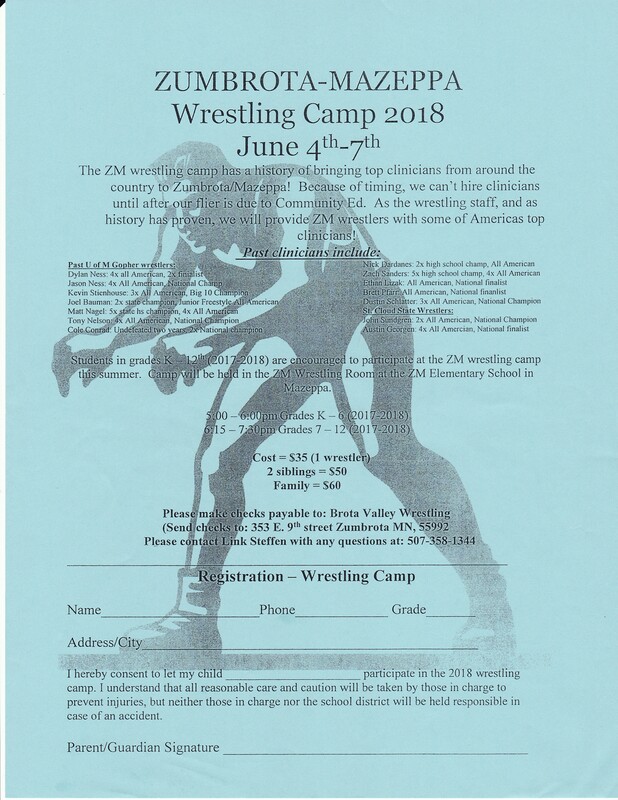 ZM Wrestling Camp is June 4th-7th. Community Ed flyer is here. The ZM Wrestling Camp starts tomorrow and runs through Thursday. It is open to any ZM student in grades K-12. The camp will be held in the Mazeppa large gym. Times are 5:00 – 6:00 PM for grades K thru 6 and 6:15 – 7:30 PM for grades 7 thru 12. The complete flyer is here. Monday & Tuesday- Ethan Lizak. 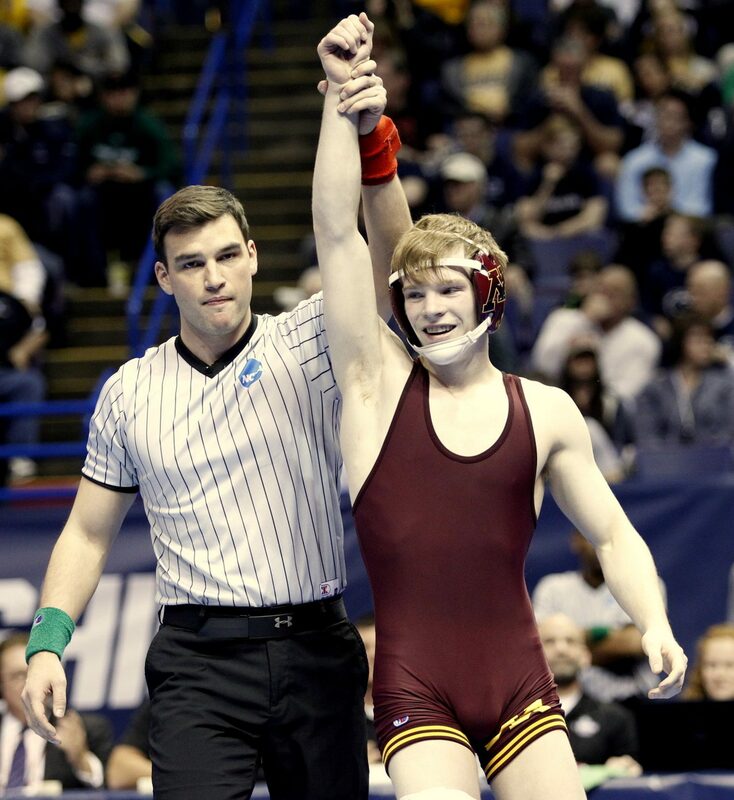 Ethan wrestles for the MN Gophers and was a NCAA finalist at 125 lbs last year. Wednesday- Austin Goergen. Austin is a 4x D-II All-American at St. 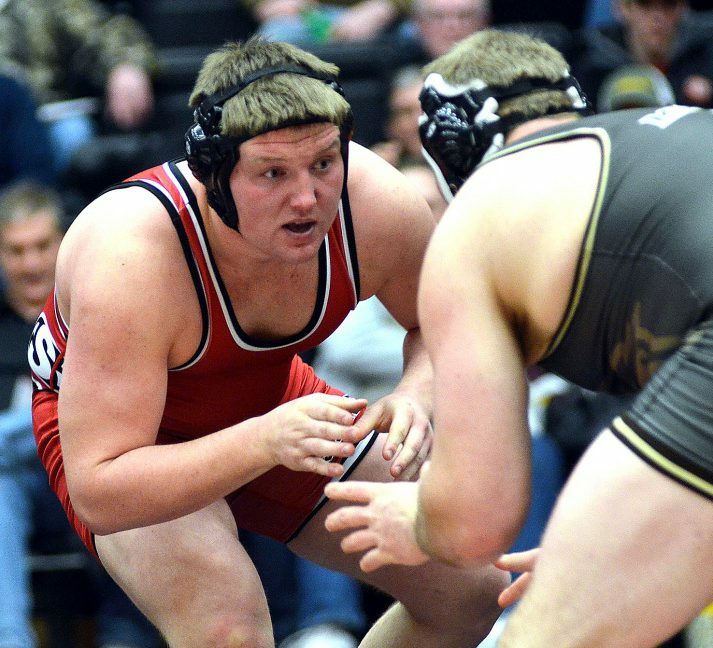 Cloud State and named Most Dominate Wrestler in D-II. Thursday- Members of the ZM wrestling staff. 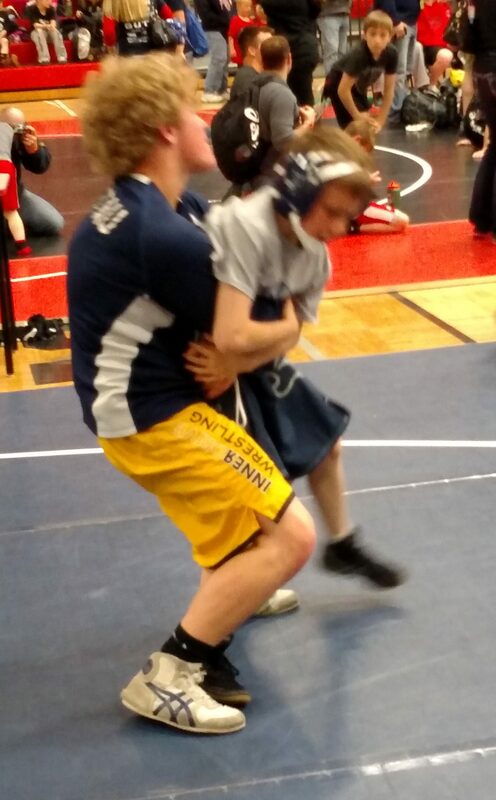 Ryan Lexvold was invited to participate in the Minnesota/Wisconsin Goodwill Duals Team Tournament. The event took place on the UW-Eau Claire campus on Saturday, May 27. This event matches up the state place-winners from MN and WI. Each team wrestled 4 times, 2 in Freestyle and 2 in Greco-Roman. The MN teams had a great showing winning all duals and Ryan finished 3-1. 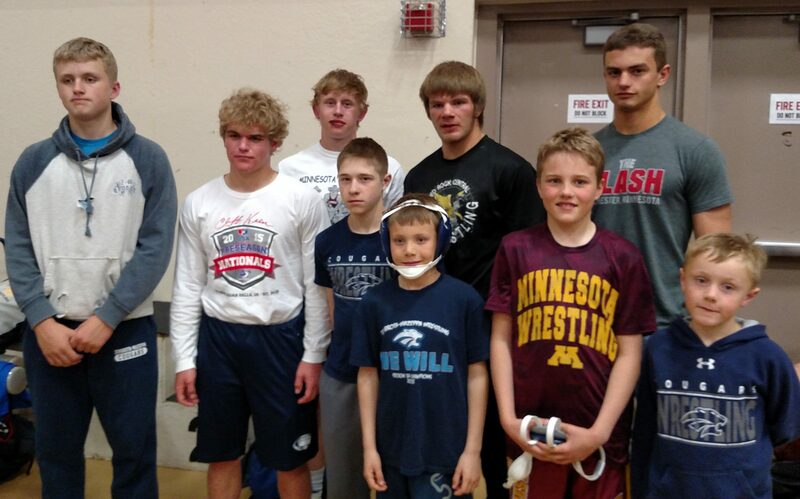 Eight ZM wrestlers took part in the MN/USA Kids & Cadets State Greco and Freestyle Tournament last weekend in Monticello. 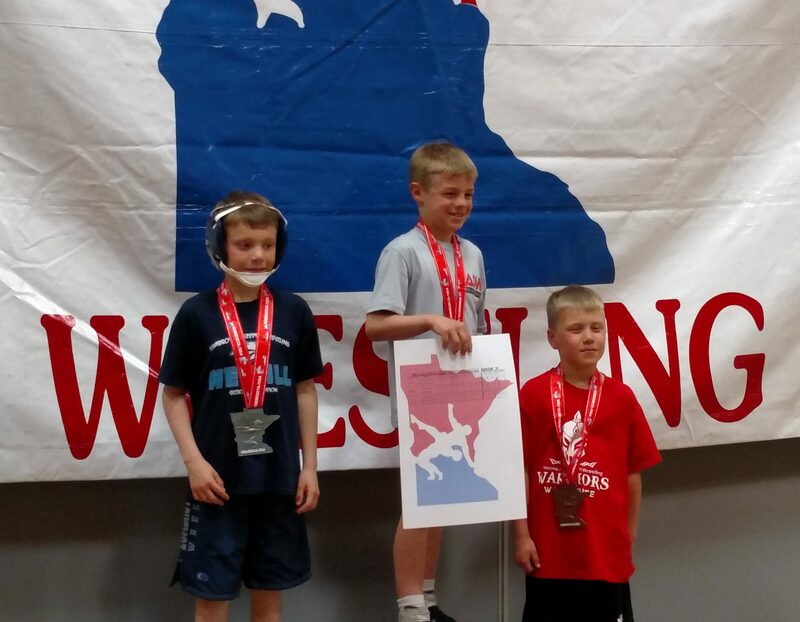 Caden Steffen led the way with a state title in Freestyle. Also competing were Cain Lexvold (2nd/2nd), Ryan Lexvold (DNP) , Michael Majerus (3rd/3rd), Ben Roberts (2nd in Greco), Jack Haglund (2nd/2nd), Jacob Bennett (5th in Freestyle), and Tyler Soltau (6th/DNP). If you know Cain, it comes as no surprise he is wearing his headgear in each of these pictures. Always ready to throw down, even with Tyler! A reminder that the ZM wrestling camp for any student grades K–12 (2015-2016) will be held June 6-9 in Mazeppa.